Hosting the 1992 Olympic Games “totally transformed” Barcelona, according to the city’s mayor, Xavier Trias. Speaking at the Global Sports Forum in March 2012, Trias revealed how the Games created a long-term sporting legacy for the city. “We have been very committed to sport for a long, long time now,” said Trias. “It all started with the 1992 Olympic Games, which totally transformed our city. There was a great effort from the city council and the society of Barcelona who really threw their weight behind the Games. “In Barcelona, holding major sports competitions is now a key part of our development and I’m convinced that sport is the perfect way to inject life into a city, to improve its well-being and to put it on the international stage. “The capacity for organising events in our city just grows and grows. Every weekend there is some kind of sporting event going on in Barcelona and more than 40,000 girls and boys take part in competitions organised here. Barcelona’s Deputy Mayor of Quality of Life, Equality and Sports, Maite Fandos, also hailed the positive impact of hosting the 1992 Games, highlighting the confidence and global exposure that the city gained from staging the event. 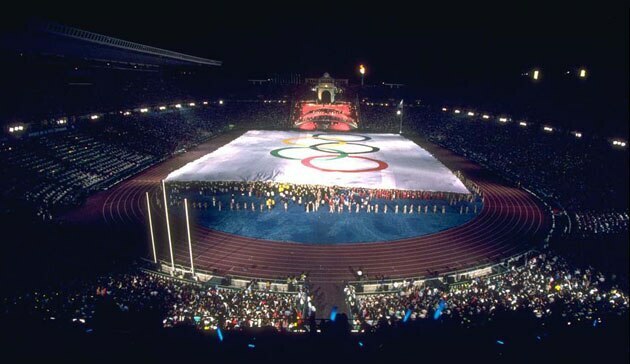 Fandos also highlighted the economic benefits that Barcelona has enjoyed as a result of the 1992 Games. "What is amazing is the breadth of impact that the Olympic Games can have – not only as a sporting event but also in terms of economic regeneration," she said. "They create a significant amount of jobs for local people. Equally, the Games are a unique opportunity to showcase the city to the world because hosting the Games successfully helps bring both sporting and non-sporting events to the city.